Tom Guajardo Jr. was born in Laredo, Texas to a family with a passion for real estate. His father was a real estate broker. His mother was an agent. And later his stepmother became a broker and his brother, too, became an agent. Suffice it to say, Tom has real estate pumping through his veins. Tom graduated from St. Mary’s University in San Antonio, Texas with a B.A. in Communications. While in college, he worked in the wholesale diamond and fine jewelry business. As a hobby during school, Tom explored acting and modeling for TV commercials and runway and print modeling for the European, Mexico and U.S. markets. 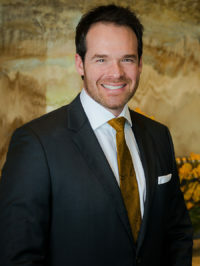 Tom returned to his real estate roots in in 2001 and has earned a reputation as one of San Antonio’s top producing brokers. He enjoys helping his clients achieve their dream of finding the perfect home, whether they’re buying or selling. Having sold over 565 homes since 2002, there is virtually no challenge Tom will encounter on a transaction which he has not already dealt with and successfully overcome. A skilled and passionate expert in the home buying and selling process, Tom works closely with his clients every step of the way to ensure a seamless transaction. Since 2003, Tom has consistently been recognized for his professional successes year after year. He is an 11-time recipient of the Platinum Top 50 Award for his outstanding achievements in sales, education, industry participation and civic leadership. He has been named seven times to the San Antonio Business Journal’s list of Top 25 and Top 50 Agents. Tom enjoys spending quality time with his wife, Nancy, their five children and three dogs. He also enjoys church life and motor sports.